A fresh selection of seasonal fruits. 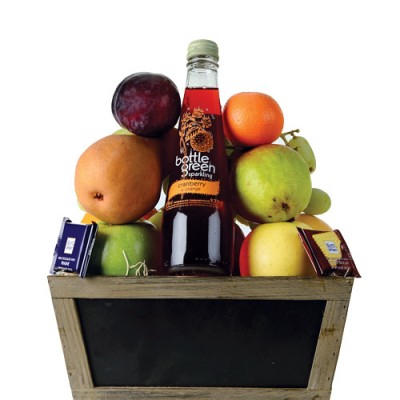 Our Fresh Delight basket offers a selection of fresh seasonal fruit with chocolate and a sparkling beverage, all carefully hand-packed in a charming rustic box. Decadent British delights. 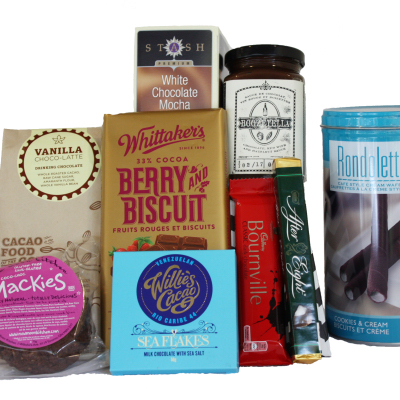 Spark pure joy with this basket filled up with sensational chocolate bars and decadent treats. It’s a dream come true for chocolate fans! Hand-packed with delights to celebrate! Spoil them with a collection of our top-selling treats. 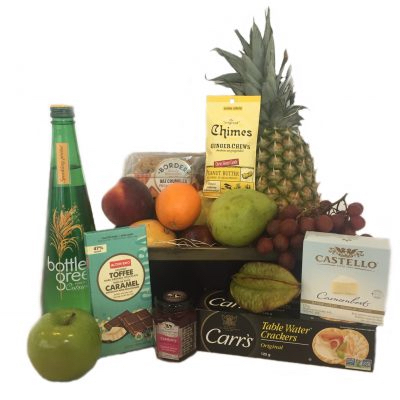 A generous assortment of fresh, seasonal fruits is hand-packed with an enticing assortment of red pepper jelly, cheese, crackers, shortbread, nuts, chocolates, candies, and a large sparkling beverage arranged beautifully in a charming rustic box around a luscious whole pineapple. This collection of irresistible sweet and salty snacks is a celebration all on its own.